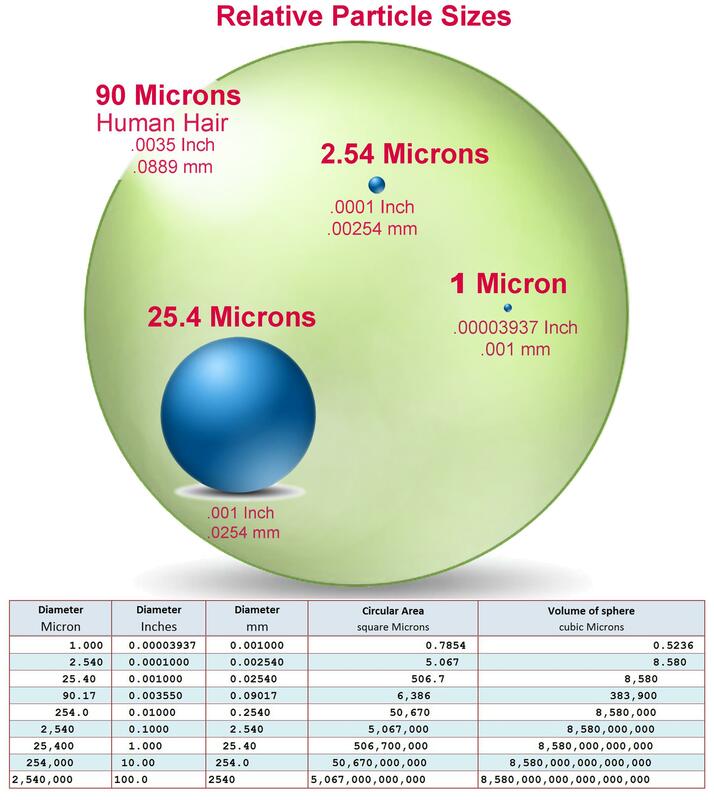 understand the size of a micron. The cleanliness levels required determines the kind and level of filtration requirements for a parts washer. The micron is the unit of measure used for specifying filtration capability. A micron is 1 millionth of a meter and is a metric unit of measure. 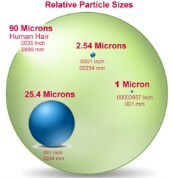 The diameter of a human hair is in the range of 90 microns while a small grain of table salt is approximately 40 microns. 1 inch is 25400 microns. 40 microns (0.0016 inches) in diameter is the lower limit for seeing with the naked eye.